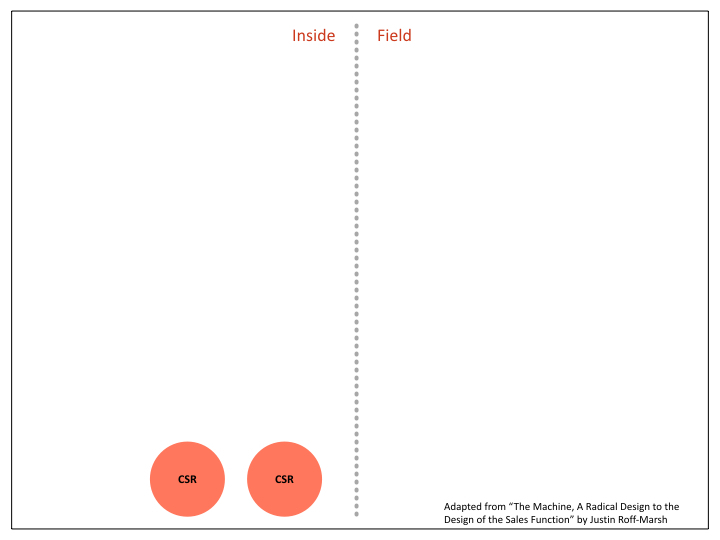 If field sales is on the wane and inside sales is replacing it, how do we organize the sales function to reflect this transition? He says to begin with the simplest and most common transactions and give them to Customer Service Reps. Staff enough CSRs to handle all requests for quotes, simple orders, and issue resolution. Once the CSRs are taking all the routine calls, you can add inside sales reps whose only job is to have what Roff-Marsh calls meaningful selling interactions with customers and prospects. Inside salespeople can conduct 30 of these conversations a day, many more than a field person could possibly achieve. Some of these calls are inbound, either from your website or by phone. 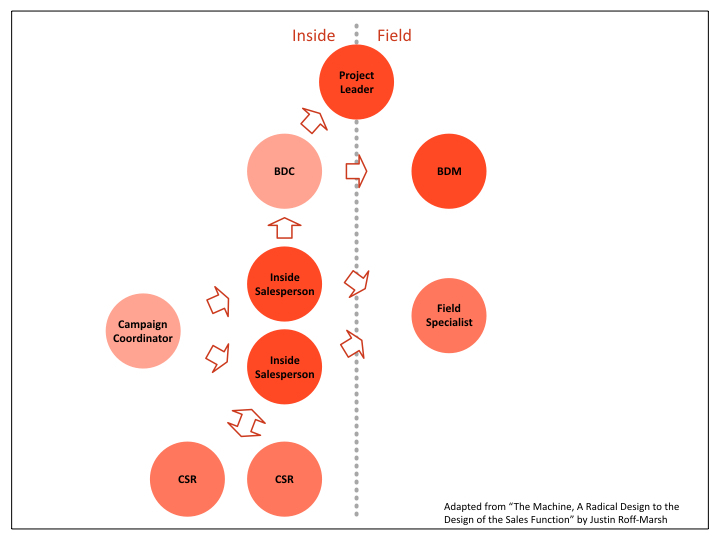 Others are outbound calls which are fed to the inside salespeople by the campaign coordinator. Some customers will want a visit from a representative from your company to conduct a product demonstration or an on-site discovery. You might think this would be the time to add field salesperson. But no, Roff-Marsh cautions, these customers don’t need a selling conversation for these visits. 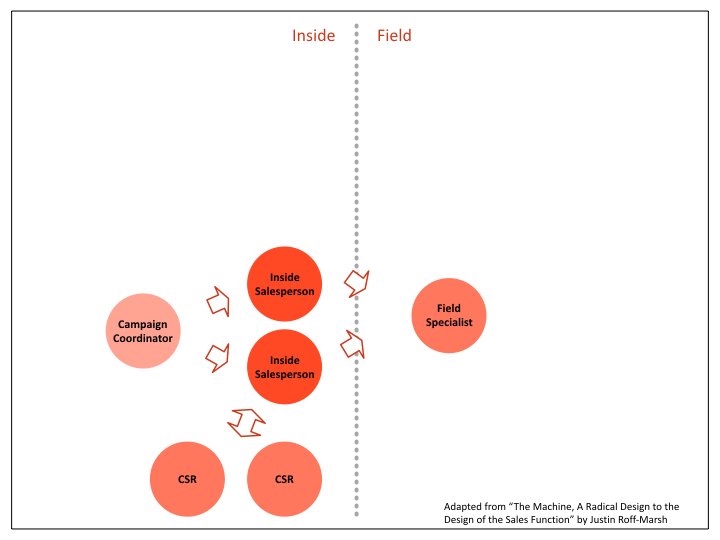 Instead, simply augment the selling conversations of the inside salespeople by adding a field specialist. If you have fully exploited your inside sales group and augmented their capabilities with a field specialist and you still need the abilities of field salespeople, now you can consider adding business development managers (BDM). Of course, by giving them a business development coordinator (BDC) to do all the scheduling and a project leader to work with production, the BDMs will be highly productive.